On the 2nd of July, Arsenal announced the transfer of Sokratis Papastathopoulus from Borussia Dortmund. The Greece defender has joined on a long term contract for a fee believed to be in the region of £16 million. He is Unai Emery's third signing at the club, following Bernd Leno and Stephan Lichsteiner. Sokratis, who is commonly referred to by his forename, has over a decade of first-team experience and joins Arsenal after seven seasons in the Bundesliga with Werder Bremen and then Dortmund. Bringing in a 30 year old to the club isn't usually seen as a profitable move for most clubs. Similarly, Sokratis' move to the club isn't a long term signing. He will mostly be able to give a year or two of his best. One would suppose this is a bad transfer if they were to see that Sokratis has only few rewards left to reap. 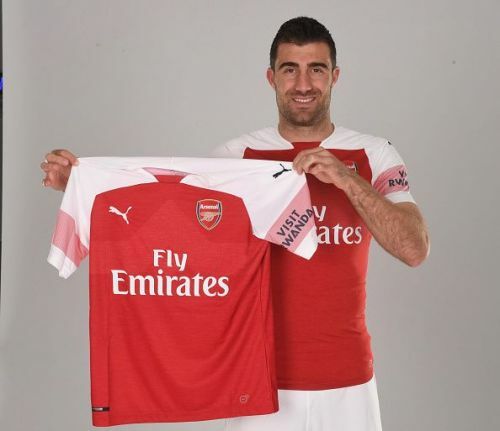 However, a key point of sigining a player that is 30 years old and as mature as Sokratis is that he will bring in much needed experience to the Arsenal back line. Having played for seven seasons in Germany, and three in Italy (the top league in both countries), the Greek international will be well versed with the game. Furthermore, Arsenal have an array of young centre halves who are seen as the future of the club. These players include Calum Chambers, Konstantinos Mavropanos and Rob Holding. All the above players have shown a sneak peak of what they can grow into. However, consistency seems to be a problem with these young players as none of them have gained a strong footing in the main 11. Not only will the experience of Sokratis help these players but his vocal abilities will help them correct their errors and maintain their positions.